Performers including Ellie Goulding, LCD Soundsystem and Sufjan Stevens took advantage of their stage time at the Coachella music festival to honor Prince on Friday night. Goulding belted out a cover of “When Doves Cry,” and Stevens joined forces with Gallant to play an extended version of “Purple Rain,” according to Refinery29. Mavis Staples spoke about Prince’s “beautiful spirit” and sang a fragment of “Purple Rain” during an afternoon set, according to the Los Angeles Times. Coachella also added purple filters to lights beaming onto palm trees and landscaping. The tributes came one day after news of Prince’s death at age 57. The festival continues its final weekend of the year tonight, with acts such as Guns N’ Roses, Ice Cube and Chvrches performing. Prince himself put on a storied show at Coachella eight years ago. 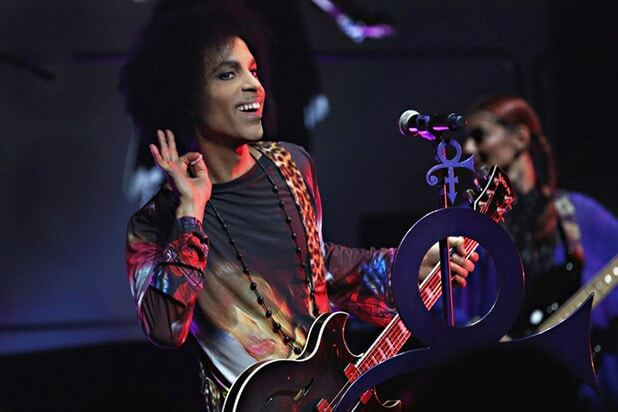 Prince’s camp was diligent in issuing take-down requests, and the Coachella footage was no exception, but last year Prince tweeted a tacit endorsement of a video upload of his cover of “Creep” from the performance, linking to an embedded version on NME’s video page.